The phenologies of plants and animals in snow-covered landscapes are expected to accelerate with global warming. However, there are few studies that have examined a range of unrelated taxa in alpine environments to determine whether there is commonality in the proximate causes, synchrony in timing, or the direction of any changes. 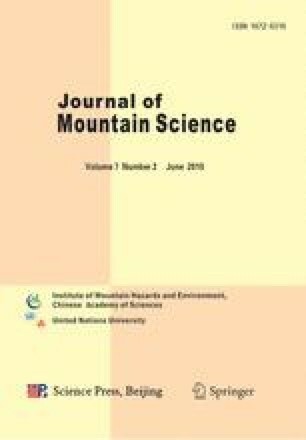 Records for five alpine animal species and two alpine plant species, chosen primarily for their visibility, were examined to determine their temporal response to regional climate warming. Over the 30-year period studied, they showed an array of different phenological responses. Plant flowering appeared linked to date of snow melt, whereas animal responses varied. Although having accelerated phenologies, two migratory bird species exhibited contrary changes; one to low-altitude warming regardless of snow conditions in the alpine zone (flame robin) and the other to state of the snowpack regardless of low-altitude temperatures (Richard’s pipit). By contrast, the migratory bogong moth arrived significantly later over the years with no apparent explanatory climatic cause. Although bogong moths are not responding to earlier snow melt, insectivorous predators on the ground are. This could lead to a serious mismatch in timing at different trophic levels, putting pressure on endangered vertebrates. Emergence of locally wintering insect species, March flies and Macleay’s swallowtails, were not significantly related to measured climatic parameters over the study period. A consequence of the disparate responses to climate warming recorded here is the questionable value of ‘indicator species’ to examine the impact of climate warming on alpine ecosystems. New South Wales Department of Primary Industry http://www.agric.nsw.gov.au/reader/efarm-climate/rainfallevap.htm Viewed 7 March 08.